Members pictured left to right are Peggy Maynor, Carlie Gibson, Juan Sanchez, Jade Poe, Knowledge Patterson, and Dustin Lamb. Advisors for the Scotland FFA Chapter are Jada Taylor and Reid Ledbetter. 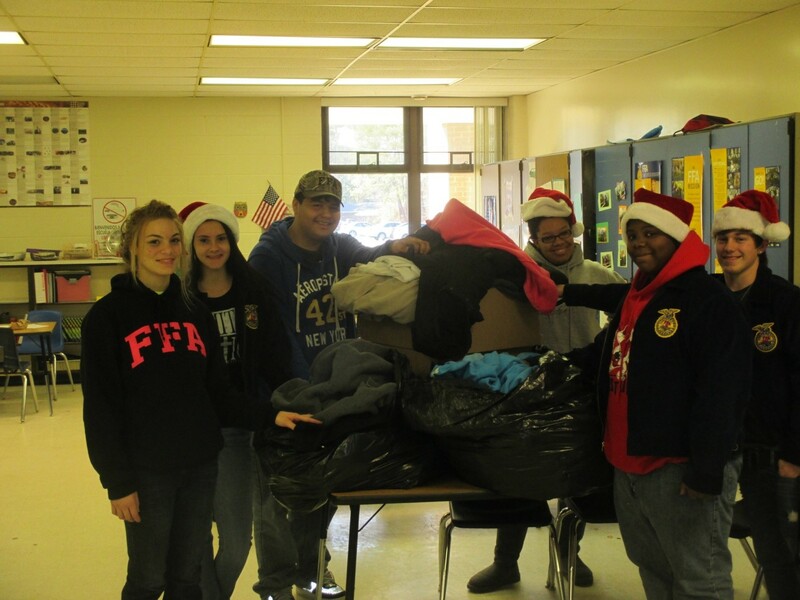 Members of​ the Scotland FFA chapter collected 92 “Coats For Kids” for their annual community service project.